Air Cleaners: How do Air Purifiers Work? An air purifier is a product that cleans and rids the air of contaminants. Some claim removal of up to 99.9% of particles in the air of a home or business. They are commonly marketed for being beneficial to sufferers of asthma and allergies. Being able to reduce and even eliminate second-hand smoke is another attractive feature for many users. Commercial grade purifiers are made as either small units that stand alone or larger units that are able to be attached to an AHU (air handler unit) or an HVAC unit that can be found in industrial, medical and commercial industries. 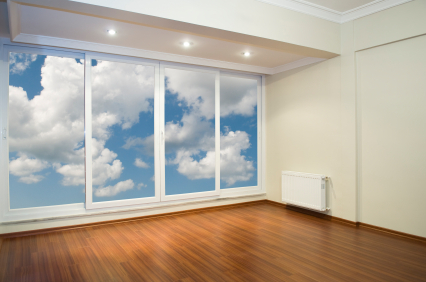 Home air purifiers can be used for an entire home or an individual room. Air purifiers are made in many different sizes and types with the most common being the HEPA filter. Most users of air purifiers purchase them to improve the air quality within their home or business. Ozone purifiers. Ozone is a reactive oxidant that can destroy some chemicals and bacteria. When it reacts with some substances in the air, those substances are broken down into materials that are pollutants. An Ozone purifier fights those pollutants. It is also very effective in fighting odors but does not work against allergens or most chemicals. Carbon air purifiers. This type of air purifier is very effective in capturing particular particles, including gas, smoke, and odor. It is also the most absorbent filter sold on the market. A carbon air filter contains small pores that are very absorbent and chemically react to particles as they pass through and the odors and particles attach to the carbon. This particular air purifier does not work against allergens or micro-organisms. Ionic air purifiers. This type of purifier works by ‘ionizing’ air, causing particles to gain either a positive or negative charge. The ionic air purifier has a collection of plates that contain an opposite charge from the air particles; therefore, the particles are attracted to the plates. The charged particles will attract other particles with the opposite charge to them. An ionic air purifier is able to remove very fine particles in the air, even from several feet away, but it does not work on odors or kill germs. Ultraviolet light air purifiers. The Ultraviolet light air purifier sterilizes micro-organisms as they pass through, including viruses, germs, bacteria and mold. After they are treated with the ultraviolet light, the micro-organisms are no longer able to reproduce and grow. Ultraviolet light air purifiers do not work against smoke, odors, allergens or chemicals. Choosing the right type of air purifier can be challenging, but by understanding their main differences, an educated choice can be made based on someone’s specific needs. Performance. Look for a unit that removes a high amount of particles from the air, including smaller-sized pieces. Air volume capacity. Choose a unit that is recommend for your size room. This is usually expressed as square feet. Particular health concerns. Consider what substances you want to be removed from the air: smoke, germs, bacteria, etc. Manufacturer. Choose a purifier that has a reputable manufacturer. The Association of Home Appliance Manufacturers is a great source. Indoor factors. If there is a particular pollutant affecting your health, look for a unit that works best at eliminating it. Cost of operating. Replacement filters do cost so make sure to look at the replacement interval and the cost of filters. Quality of construction. Make sure the warranty covers the internal parts of the unit. Noise while operating. Is the unit considered ‘whisper quiet’? You can request its operating noise values before you make a purchase. Quieter units are around 35 decibels. For an existing home and central air system, the easiest and most affordable method is an air purifier that is designed for only one room and used in that targeted room. A room air purifier works more efficiently and is more cost effective when a purifier is needed for only one room. An effective unit for a room can cost less than $300 and provides good results. As an alternative, a whole house purifier can be purchased, but may cost thousands of dollars, depending on the installation and electrical needs of the unit. Commercial air purifiers work by removing harmful contaminants that are circulating in the air. They are used worldwide to improve hygienic environments, remove odors, gases, smoke and other types of indoor air pollution. Commercial air purifiers are used today in schools, offices, hospitals, bars, restaurants, food plants, factories and farms. One Response to Air Cleaners: How do Air Purifiers Work?